It was bitterly cold. The warriors’ blankets covered them completely, exposing only their eyes. My first sergeant and I, with a few men, started the search of the line. Calvary First Sergeant chevrons, 1872-1902. Dora S. Coffey, the young twenty-four-year-old first sergeant of Captain Charles Varnum’s B Troop, was assisting his commander with the search of the warriors at the Indian council circle the morning of 29 December 1890 when the first shots rang out at the camp along the Wounded Knee Creek. Coffey was killed by a gunshot wound to the head according to newspaper accounts, likely occurring during the opening volley. Born in 1866 at Ellettsville, Indiana, Dora Sherman Coffey was the oldest child of James Whisenand and Amanda Coffey. James was a farmer from Richland born in July 1846, the eldest son of James Davidson and Mary Ann (nee Whisenand) Coffey. James and Amanda were married on 16 March 1865, when he was just eighteen and she twenty-four. They lived variously at Ellettsville, Jefferson, and Richland, in Monroe and Greene Counties, Indiana, with James working as a blacksmith’s apprentice or farm laborer. James and Amanda had a second son, George Whisenand born 9 April 1868. Amanda died on 12 January 1909, and James on 28 November 1937. Their son, George, lived to the age of ninety-seven, dying on 19 June 1965. At the age of twenty, Dora Coffey traveled to Chicago, Illinois, and enlisted for five years on 22 December 1886. According to his enlistment record, he indicated that he was a year older than his actual age, likely to avoid providing a statement from his father or guardian allowing him to enlist under the age of twenty-one. He stated he was a farmer and stood just under five feet ten inches, had a fair complexion, blue eyes and brown hair. Coffey was assigned to B Troop, 7th Cavalry Regiment at Fort Riley, Kansas. Coffey was apparently tried and sentenced under a general court martial at the beginning of 1890 forfeiting $20. Despite this setback, he was serving as a First Sergeant by the end of the October that same year. Following his death at Wounded Knee, Coffey was buried along with twenty-nine of his fellow troopers on New Years Eve, 1890, at the Episcopal cemetery at the Pine Ridge Agency. He was one of four soldiers whose family had the body of their loved one removed from Pine Ridge and buried in a local cemetery; his second funeral was held on 21 January 1891. A newspaper in Bloomington, Indiana ran the following announcement. The remains of Dora Coffey were received by his friends at his old home in Ellettsville Tuesday evening and were buried Wednesday. It will be remembered that Mr. Coffey was killed in the battle of Wounded Knee while on duty, he being one of the unfortunate members of the 7th cavalry that attempted to disarm the Indians. 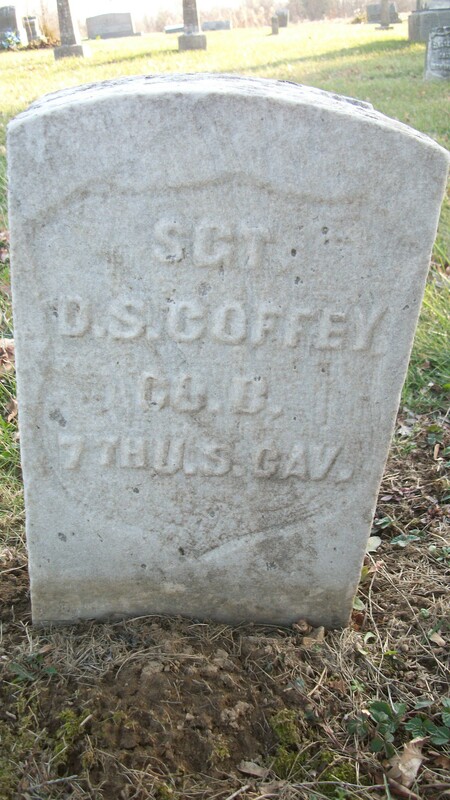 First Sergeant Dora S. Coffey is buried in the Methodist Cemetery at Ellettsville, Indiana. Three days after First Sergeant Coffey was killed at Wounded Knee and the day after he was buried at Pine Ridge, Dora Coffey’s brother and sister-in-law, George and Della Coffey, had their first son, whom they named in honor of the infant boy’s recently deceased uncle. Following the deaths of Fist Sergeant Coffey’s mother, Amanda, in 1909, and his father, James in 1937, the family placed a memorial marker in the Ellettsville Methodist Cemetery for mother, father and son adjacent to the First Sergeant’s military headstone. 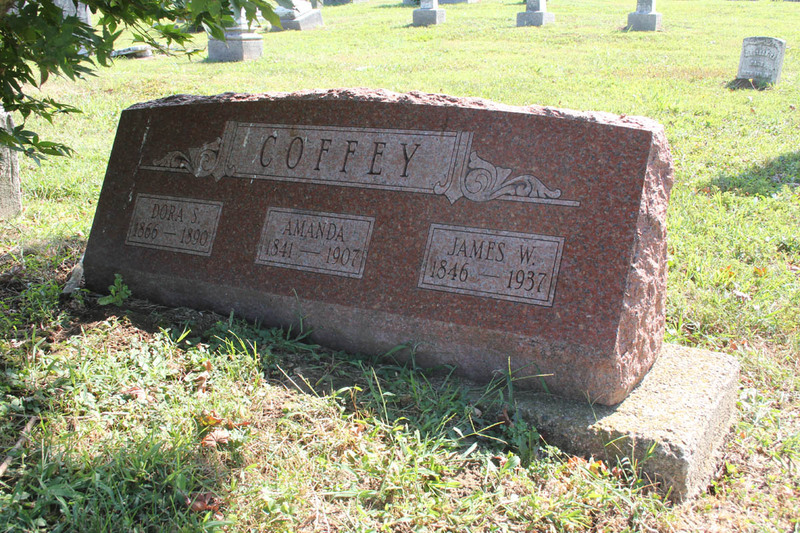 Family grave marker of Dora S., Amanda, and James W. Coffey at the Methodist Cemetery at Ellettsville, Indiana. H. H. Booker, photo., “First Sergeant Chevrons,” U.S. Militaria Forum, http://www.usmilitariaforum.com/forums/index.php?/topic/16004-first-sergeant-chevrons/ accessed 10 November 2013. Ancestry.com, United States Federal Census [database on-line], Provo, UT, USA: Ancestry.com Operations, Inc., 2009, Year: 1860, Census Place: Richland, Monroe, Indiana, Roll: M653_282, Page: 527, Image: 89, Family History Library Film: 803282; Year: 1870, Census Place: Jefferson, Greene, Indiana, Roll: M593_318, Page: 377B, Image: 274, Family History Library Film: 545817; Year: 1880, Census Place: Richland, Monroe, Indiana, Roll: 299; Family History Film: 1254299, Page: 35B, Enumeration District: 280, Image: 0228; Year: 1900, Census Place: Richland, Monroe, Indiana, Roll: 392, Page: 10A, Enumeration District: 0102, FHL microfilm: 1240392; Year: 1910, Census Place: Richland, Monroe, Indiana, Roll: T624_371, Page: 12B, Enumeration District: 0140, FHL microfilm: 1374384; Year: 1920, Census Place: Richland, Monroe, Indiana, Roll: T625_457, Page: 2B, Enumeration District: 169, Image: 785; Year: 1930, Census Place: Richland, Monroe, Indiana, Roll: 619, Page: 2B, Enumeration District: 22, Image: 401.0, FHL microfilm: 2340354; Ancestry.com, Indiana, Marriage Collection, 1800-1941 [database on-line], Book: 4, Page: 338, Provo, UT, USA: Ancestry.com Operations Inc, 2005; Ancestry.com. Web: Monroe County, Indiana, Obituary Index, 1899-2011[database on-line], Provo, UT, USA: Ancestry.com Operations, Inc., 2011, Original data: Monroe County Obituary Index, Monroe County Public Library. Adjutant General’s Office, Final Statements, 1862-1899, “Coffey, Dora S.,” at Fold3, http://www.fold3.com/image/271303403/ accessed 10 Nov 2013. Ancestry.com, Headstones Provided for Deceased Union Civil War Veterans, 1879-1903 [database on-line], Provo, UT, USA: Ancestry.com Operations Inc, 2007, Original data: Card Records of Headstones Provided for Deceased Union Civil War Veterans, ca. 1879-ca. 1903, (National Archives Microfilm Publication M1845, 22 rolls), Records of the Office of the Quartermaster General, Record Group 92; National Archives, Washington, D.C.
 Bloomington Telephone, Bloomington, Indiana, January 23, 1891, page 1. John Maxwell, photo., “Dora Sherman Coffey,” FindAGrave, http://image2.findagrave.com/photos250/photos/2011/220/44184315_131292432929.jpg, accessed 19 Jan 2019. Uncle Bob, “Dora Sherman Coffey,” FindAGrave, http://image2.findagrave.com/photos250/photos/2011/220/44184315_131292432929.jpg, accessed 19 Jan 2019. 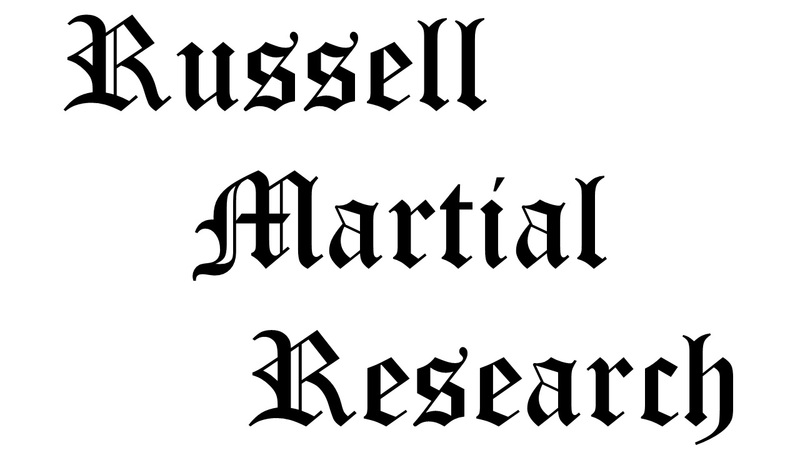 Citation for this article: Samuel L. Russell, “First Sergeant Dora Sherman Coffey, B Troop, 7th Cavalry – Killed in Action,” Army at Wounded Knee (Sumter, SC: Russell Martial Research, 2013-2015, http://wp.me/P3NoJy-4L) last updated 10 Nov 2013, accessed date __________. This entry was posted in Casualties, Enlisted and tagged 1890, 7th Cavalry, 7th Cavalry Regiment (United States), B Troop, Big Foot, Dora S. Coffey, First Sergeant, Fort Riley, Killed in Action, Lakota, Miniconjou, Oglala Lakota, Pine Ridge, Pine Ridge Agency, Pine Ridge Indian Reservation, Sioux, Wounded Knee, Wounded Knee Creek, Wounded Knee Massacre. Bookmark the permalink.